A hover chair inspired by the Star Wars landspeeder makes ann appearance at Britain's biggest gadget show in London this weekend. 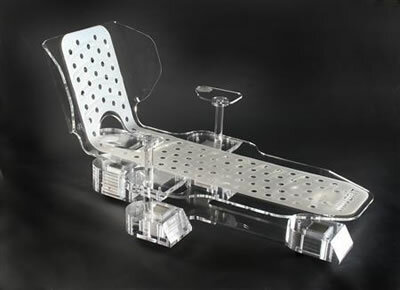 The creator of the device, Keith Dixon, of Sussex-based Hoverit Ltd, said he was inspired as a child by the anti-gravity Landspeeder vehicles in the "Star Wars" films. "The sensation you feel as you lie back and close your eyes is totally different -- like floating on a cloud," said a Stuff Live spokesman. 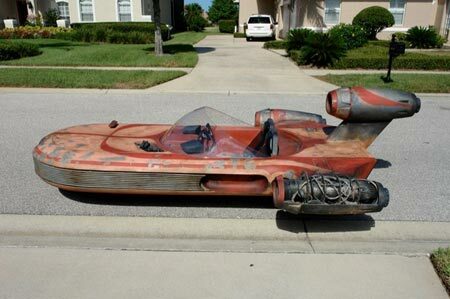 For those who don't recall, the landspeeder was used to race recklessly across the wastes of Tatooine in the first Star Wars movie. From Rise above economic woes with the hover chair; thanks to Nicholas Johnson for writing in with the tip and reference.